I love performing in your country, I always have. I have maintained you are one of the most attentive and respectful audiences in the world. However, due to restrictions and potential conflicts with upcoming Runrig shows we agreed it would be best for everyone if we not play your beautiful country this Christmas tour 2015. However we are very pleased to announce that we will be doing one very special exclusive show in the summer of 2016 in Germany. 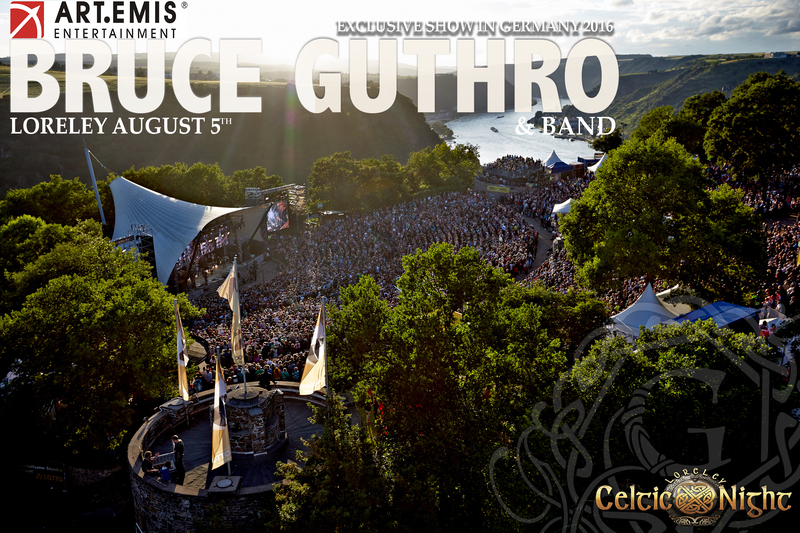 I will be performing at the beautiful Loreley for Celtic Night on August 5th, 2016. I will be there with my full band, and truly look forward to seeing you all. We are looking forward to a perfect summer evening surrounded by Celtic musik at one of the most beautiful festival sites in the world. We offer a unique package deal where you can buy a ticket for Loreley Celtic Night and a signed copy of Bruce Guthro's Christmas DVD, A Winter's Night, for only 50 euros. The Celtic X-mas Tour 2015 was a success! A Winter’s Night – now available as download!